Opera Orlando's Studio Artist program provides a platform for emerging artists to cover mainstage roles and gain valuable performance experience. From concerts to opera previews, studio artists engage the Central Florida community with high-quality educational programming. This year Opera Orlando studio artists return to the Mayflower, Westminster Orlando, and Westminster Winter Park and visit local high schools for special opera previews and to share the beauty and splendor of opera. To book our studio artists at your school or community center, please contact our Studio Artist program coordinator, Sarah Purser, at spurser@operaorlando.org or call 407-512-1900. A lover of both opera and musical theater, Benjamin Ludwig was graduated from the University of Central Florida with a Bachelor of Music Degree in Vocal Performance. Some of his favorite roles since then have been Marcello in La Boheme, Captain Phoebus in The Hunchback of Notre Dame, Cascada in The Merry Widow, and Albert Peterson in Bye, Bye, Birdie. Those who just can’t get enough Ben Ludwig can find him cantoring at St. Thomas Aquinas Catholic Church in St. Cloud. Lauded by the Spokesman Review for her "arresting vocalism," soprano Courtney Ruckman recently joined Nashville Opera as an Emerging Artist, performing Frasquita (Carmen) and creating the role of Jessie (Masquerade) in the world premiere of Three Way. She reprised the role with American Opera Projects for Three Way's New York City premiere and can be heard on the original cast recording. Other recent engagements include covering Marzelline (Fidelio) with Caramoor, covering the Youth (After Life) in world premiere performances with Music of Remembrance, performing Pamina (Die Zauberflöte) and Gilda (Rigoletto) with Pacific Northwest Opera, and joining the Central City Opera Studio Artists Program where she was a featured recital soloist. 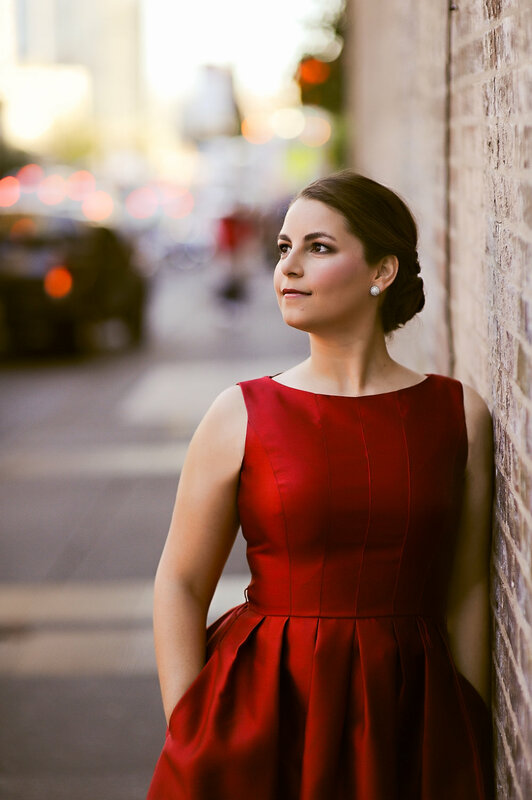 Emily Heumann, mezzo-soprano, is a recent graduate of the MM Voice Performance & Pedagogy program at The Moores School of Music at The University of Houston. This season, she sang Beppe in L’amico Fritz, Princess Linetta in Prokofiev’s The Love for Three Oranges, Alto Soloist in Handel’s Messiah, Lisa in Nino Rota’s I due timidi, and Hansel in a production of Hansel and Gretel that was praised by Arts and Culture Texas Magazine and the Houston Press. She also appeared with Sherrill Milnes’ VOICE Programs in several concerts across Tampa, Savannah, and NYC, most recently at The National Opera Center.